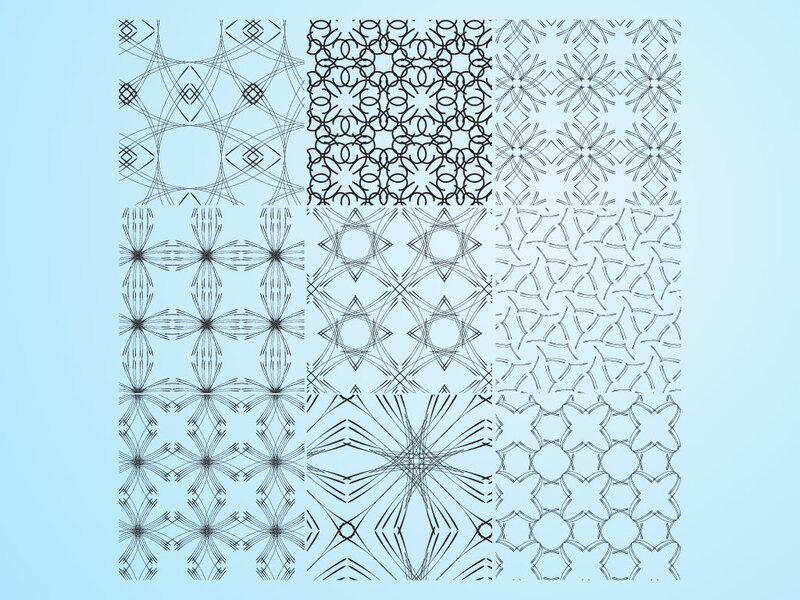 This pattern set has nine different line art tiles ready for your design background needs. These abstract patterns will work perfect as website backgrounds, seamless tiles, textiles graphics and invitations. Tags: Background, Line Art, Outline, Pattern, Repeating, Seamless, Tile.